Description This Dalton, Georgia hotel has an outdoor pool, non-smoking guest rooms and free breakfast. This hotel is also pet friendly. 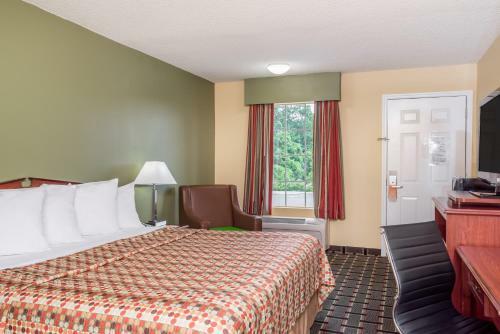 Wi-Fi and free breakfast are just a couple of the perks in store at the Howard Johnson Dalton. 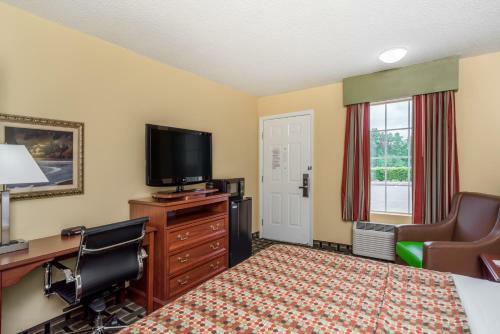 All 55 rooms in the two-story Jameson Inn have pillowtop beds cable TV with premium channels work desks and Wi-Fi. Read a free weekday newspaper and fuel up on free breakfast at the morning buffet. There's a public computer workstation in the lobby for printing boarding passes and taking care of work tasks. Stay in shape at the fitness center. Pets are permitted for an added fee. 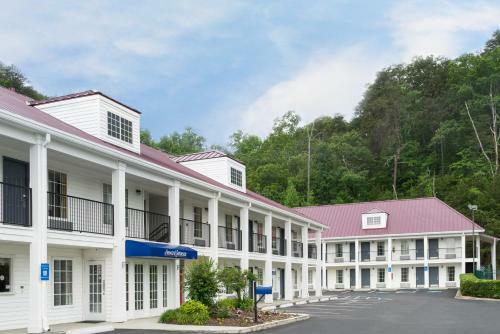 Just off I-75 halfway between Dalton State College and the Northwest Georgia Trade and Convention Center the Howard Johnson Dalton is less than one mile from each landmark. Guests are also less than a mile from the restaurants and entertainment of the Market Street Shops of Dalton and three-and-a-half miles from Dalton's Crown Mill Historic District. Chattanooga Metropolitan Airport in Tennessee is a little more than 28 miles from the hotel. Hartsfield-Jackson Atlanta International Airport is 90 miles south of Dalton. 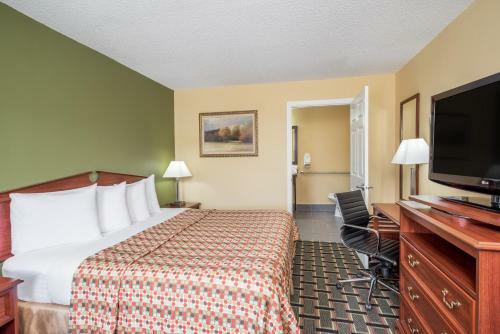 Add Howard Johnson By Wyndham Dalton to your free online travel itinerary.